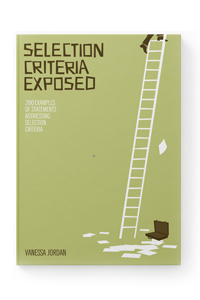 200 full examples of selection criteria statements that you can use for inspiration in your own application. Expertly crafted sentences, phrases and paragraphs for you to copy and paste into your own application. 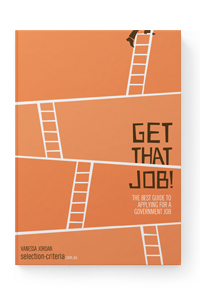 This book is an extract from Get That Job! and is for people who have to address selection criteria in a hurry. 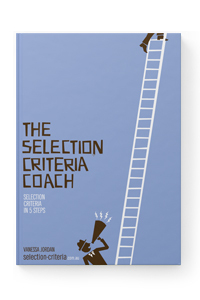 The Selection Criteria Coach guides applicants through a five step formula that produces responses to selection criteria infront of your eyes. Our best selling e-book, with over 150 pages of powerful information to ensure your next application is a winner. Covering resumes, cover letters, selection criteria, interviews and more. 401 Interview Questions is our second "quick guide" - an informative, to the point a very affordable e-book. 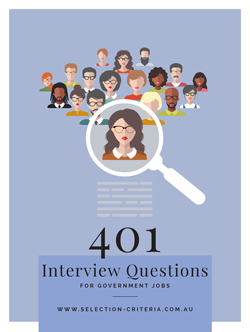 This guide lifts the lid on government interview questions by exploring 401 commonly used interview questions in public service interviews. Perfect for your job interview preparation.